And another entry into Keep It Simple - Watercolour. 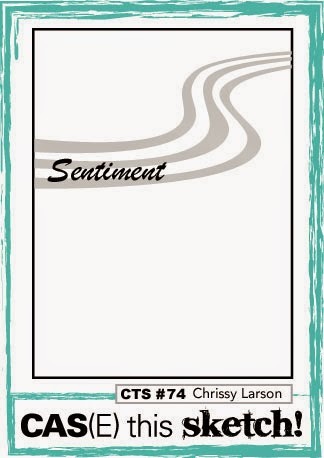 Shirley - this is a great card and I love it's simplicity. You are right about the options for colors and how well it would work a a card for men. Nice! I was thinking of doing something similar to this. It looks wonderful but I'll find another idea for the sketch. beautiful!! Love the colours love the simplicity! Bravo! You have achieved a beautiful look I am even more impressed because I attempted to make exactly the same card (different colour) and ended up with 8 rejects in the bin! Just perfect for both challenges Shirley.... Love the soft colours and the large bold sentiment. This is a great card Shirley! 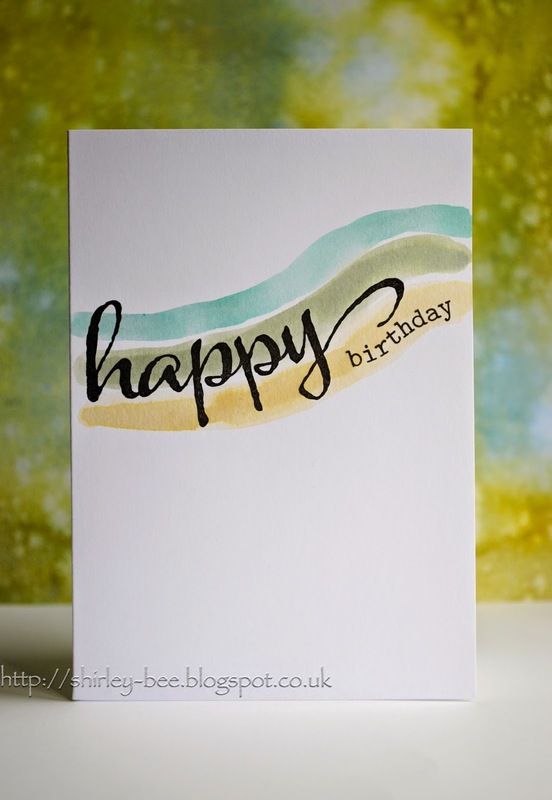 A beautiful card..... lovely colors and perfectly CAS! Love how well those colors fit the simplicity of the sketch! Absolutely perfect for those hard-to-make guy cards! A wonderful CAS card Shirley, lovely colours of your 'waves' and fabulous sentiment!! Oh, this is fantastic! I love your take on the sketch! Fantastic take on the sketch! Thanks for joining us at CAS(E) this Sketch! I love how you've softened the shades in the colours to make the background - it's beautiful. Classy and elegant - just how I like my cards. 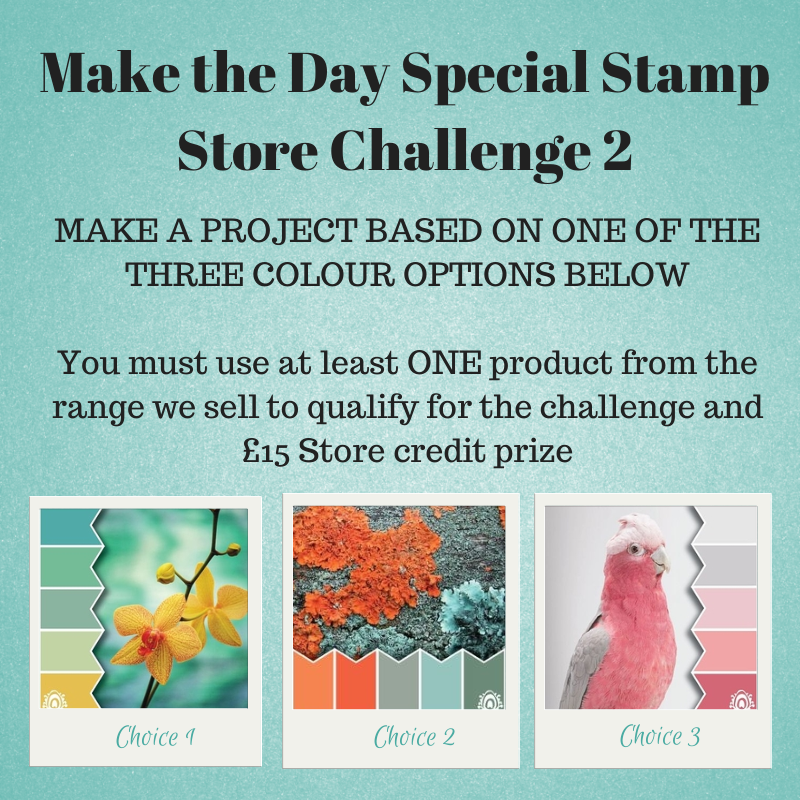 Thanks so much for playing along with our first colour challenge at Make the Day Special Stamp Store.